The presence of the Nodal Axis with Venus gave Palekar the unique brand of acting! As per Amol Palekar's Solar Chart Sun is placed in Scorpio with Mars and Mercury. Sun conjunct Mercury in Scorpio sign gives him deep knowledge in Arts, creativity and entertainment. He would be skilled and would also be possen knowing various skills. This is one of the greatest contributory factors for his brilliant acting skills, as Mercury represents the power of the word and thinking, and its union with the Sun gave him great imagination, depth of thought and a sense of originality. Venus is the prime significator of arts and creativity. Venus in Sagittarius made him a lively and natural performer. The opposition of Venus and Saturn strongly favored Amol Palekar and his acting skills pursuits and also ensured that he gained fame and recognition because of them. The opposition of Venus and Saturn contribute greatly in shaping up his acting skills and also gave him versatility in his acting and film direction. This made him a mature and earthy actor. All these planetary position made him a classic and versatile actor, director and producer of Hindi and Marathi cinema. 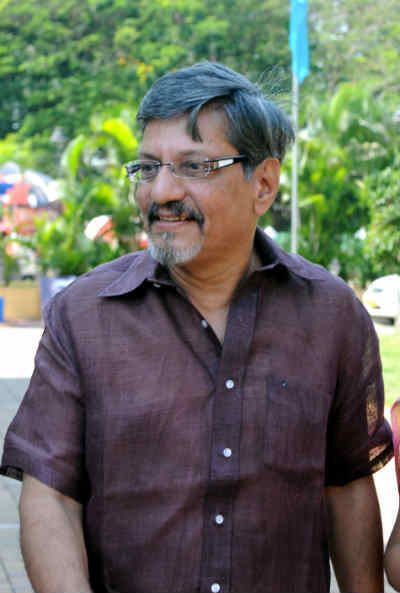 Ganesha wishes a great time ahead to Amol Palekar and wishes him a most happy birthday.